When you’re a professional living in Chicago, apartments are quite often the most convenient and affordable living option, whether you’re in your twenties and living with several roommates or in your thirties and pondering moving into that high-rise apartment you’ve always dreamed about. Nonetheless, at some point you might find yourself starting to wonder what it would be like to move into a home. Unsure if moving into a home is the right decision for you? If you find yourself having any of the following four thoughts, then it might just be time! For as long as there have been cities, there has been the need for homes that can accommodate generations of family, from children to grandparents. And while today there is far more variation in terms of what a typical home might look like, if your family is expanding then that’s often the top reason why moving into a home is the right decision. Don’t get us wrong; raising a family in an apartment is very do-able. But once you start to expand past one or two children, you’ll need a fair chunk of space to let your kids run around in, not to mention that having a backyard can be a crucial outlet for their boundless energy. If you’ve lived in Chicago for more than a few years, you likely know that having a backyard isn’t always an option. But if you come from a smaller town with large yards or just simply miss the smell of freshly-cut grass, renting or buying a home is often the most cost-effective way to get yourself a taste of the outdoors. Plus, if you have or want a dog or miss entertaining friends, having a home with a decent-sized backyard will enable you to move with a pet and have friends over for lazy Sunday BBQ’s. While renting is often the best choice for someone just entering the workforce, if you’ve been hard at it for upwards of a decade or more, you might start thinking about purchasing a home rather than endlessly renting apartments. Whereas you’ll never see your rent money again, a home mortgage can be a strong investment for your future. Furthermore, if you’re already renting a home and like the neighborhood, then consider inquiring with the property owner as to buying the home for yourself so that you can truly make it your own. As we’ve discussed here before, even in the smallest of apartments it can be feasible to construct a home office and give yourself a place of your own in which to concentrate and work. 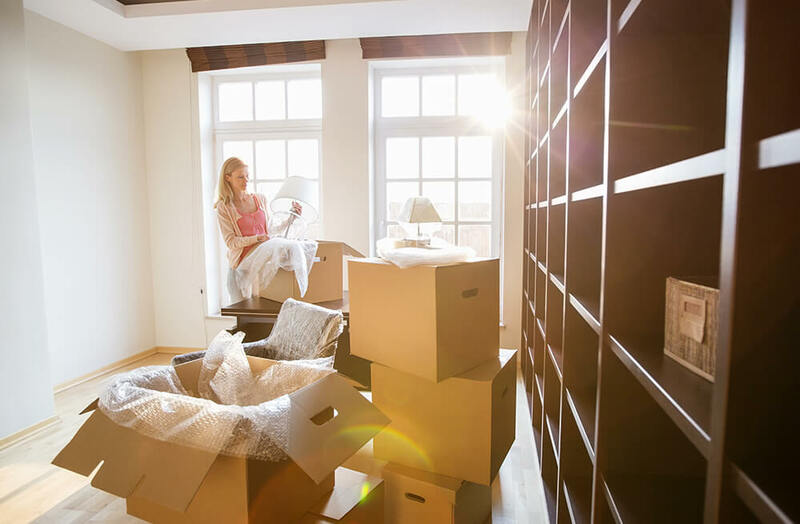 However, as time goes on and your home business grows or you desire to have a place that you can redecorate to your own desires, these can be telltale signs that a home move is right for you. If you want an extra room to make into a proper home office or simply want a home you can paint and augment as you see fit, if you’re getting stir-crazy in your current apartment and want more control over your space, then it’s definitely time to starting thinking about moving into a home.